If there’s one thing to take comfort in during these trying times, it’s the fact that—for now at least—human beings remain superior to the technology they create. 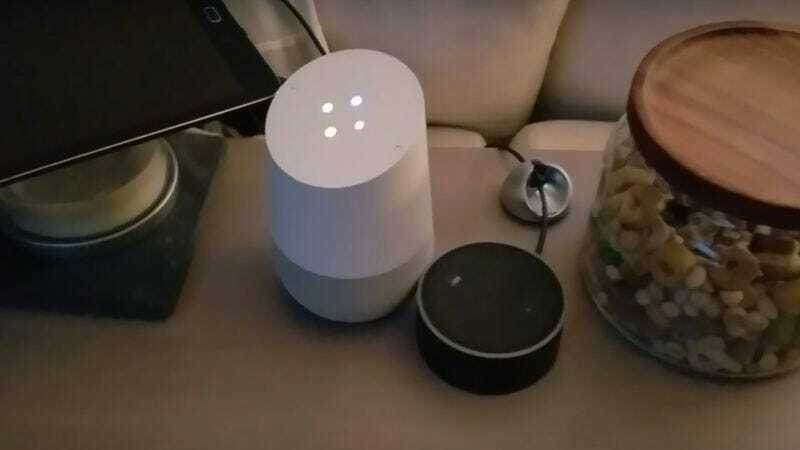 And if you need proof of that, look no further than our ability to force an Amazon Echo and a Google Home to talk to one another on a loop forever. Adam Jakowenko discovered a way to create the looping loophole between the two smart home appliances, and he uploaded a video of it in action on his YouTube channel.